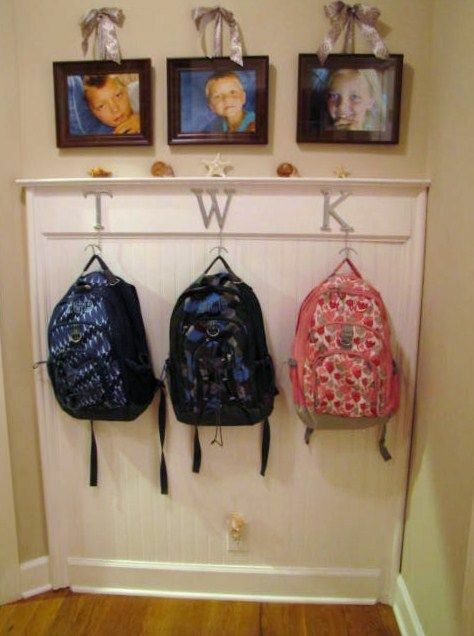 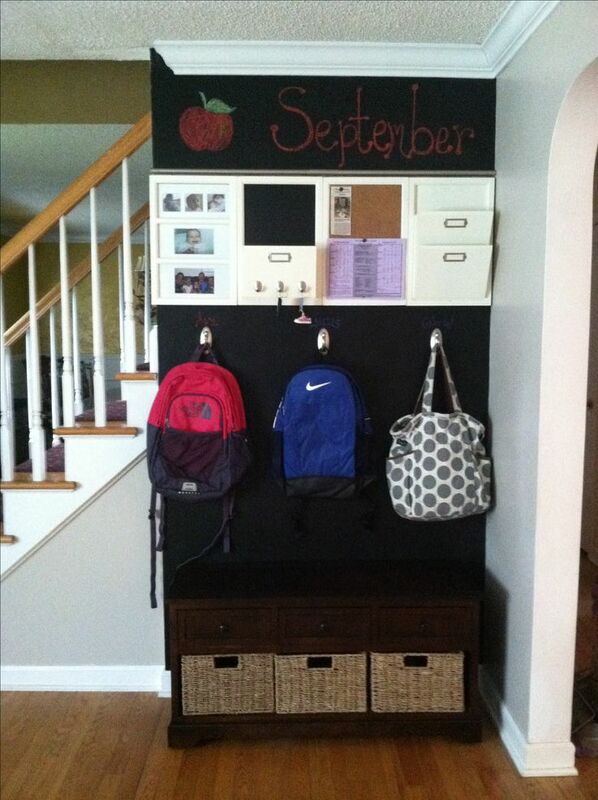 Backpack Organization Wall -- I like the initials. Uses command hooks? 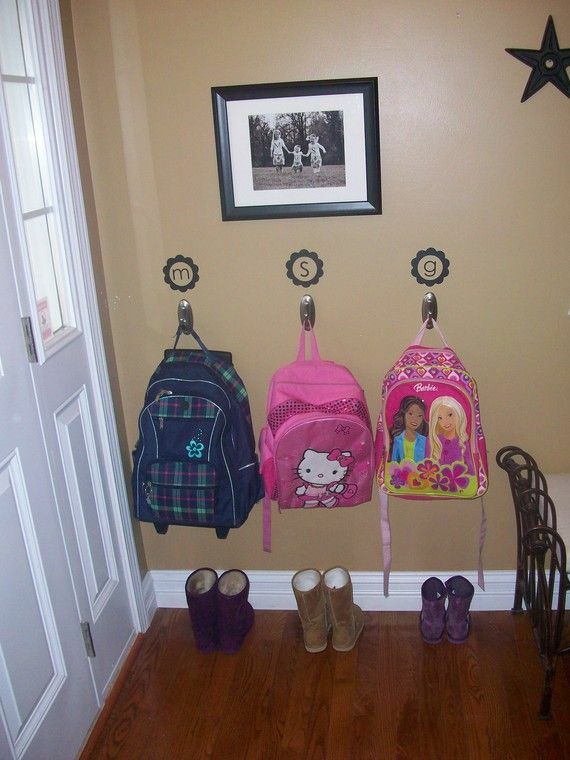 Nice to try before you start drilling and nailing.